If you’re a sucker for dainty, barely there jewelry, we’ll go ahead and say you love a sleek and polished look. To embellish your super-simple style just a smidge, today we’re sharing our favorite minimal-inspired jewelry brands for you to explore. 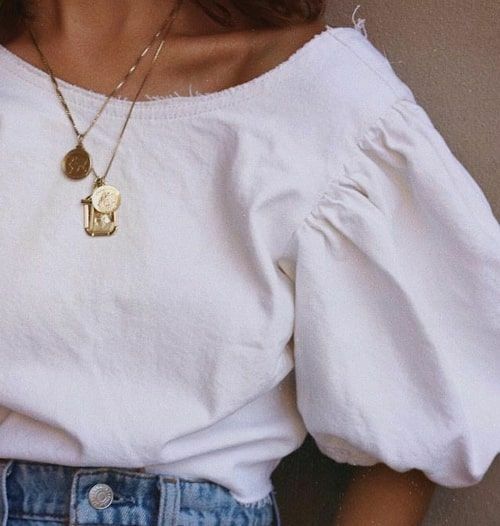 From Insta-famous brands you probably see all over your social feeds to under-the-radar lines worth bookmarking, here’s where we find the coolest simple yet stylish dainty jewels. 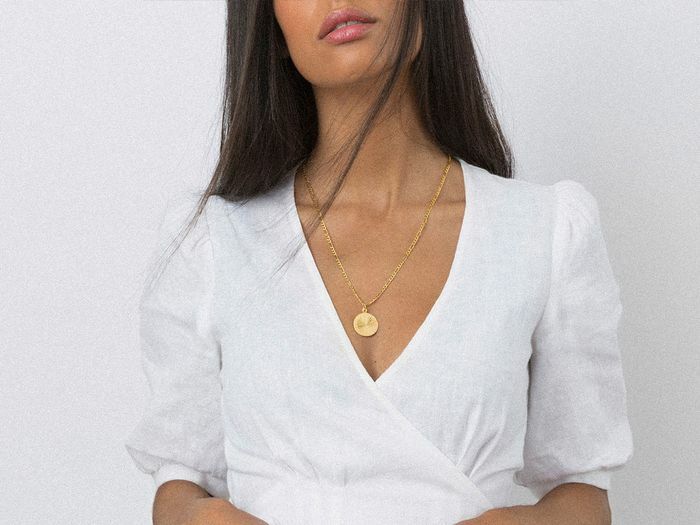 Whether you’re looking to update your go-to T-shirt-and-jeans look with a shiny gold pendant or hoping to find a new signature jewelry piece that’s perhaps even monogrammed with your initials, we’ve got you covered with the best minimalist jewelry brands. Keep reading to check out the items your friends are sure to covet. We recently discovered this Portugal-based jewelry brand as we were on the hunt for the perfect gold pendant necklaces. It gets better, too. Almost all of Cinco’s accessories ring in under $100. Sarah Chloe is known for its signature signet rings and personalization design bar. The Lana pinky ring is a Who What Wear office favorite right now. Catbird is your stop for teeny-tiny stackable rings and earrings. The sisters behind Gabriela Artigas create everyday statement jewelry you can effortlessly transition from day to night. Ariel Gordon creates dainty pieces that are perfect for layering. Each handcrafted piece is inspired by nature, history, and symbology. This New York–based jewelry line blends hard and soft touches to produce pieces that are dainty and refined. Jacquie Aiche’s mission is “to create jewelry that will make every woman look and feel uniquely beautiful,” according to the site. Mission accomplished! Jennifer Zeuner Jewelry offers personalized necklaces that are still super stylish. If you’re looking for a simple and sleek bracelet, Monica Vinader is your answer! This Australian design label will quickly become your go-to for timeless, quality jewelry. You can easily work these beautiful jewelry basics into your office or weekend wardrobe. Wwake has the coolest collection of uniquely designed rings. This post was published at an earlier date and has since been updated. Speaking of jewelry, see which item fashion girls will never give up.